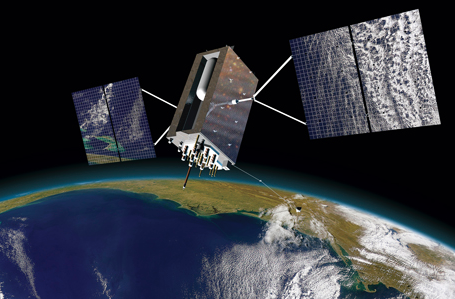 Lockheed Martin's Major Milestone w/Module Onto Propulsion Core Of The Most Advanced GPS Satellite For U.S.A.F. [SatNews] Moving along with preparing a new GPS system, for the U.S.A.F., that delivers three times the accuracy and eight times the anti-jamming capabilities, and increased longevity...from 15 years life span to 25. Using a 10-ton crane, Lockheed Martin [NYSE: LMT] engineers and technicians gently lowered the system module of the U.S. Air Force’s first next generation GPS III satellite into place over its propulsion core, successfully integrating the two into one space vehicle.